“I plead the blood.” Those were the last words seventeen-year-old golden boy quarterback Clay Tate heard rattling from his dad’s throat when he discovered him dying on the barn floor of the Neely cattle ranch, clutching a crucifix to his chest. Now, on the first anniversary of the Midland, Oklahoma, slaughter, the whole town’s looking at Clay like he might be next to go over the edge. 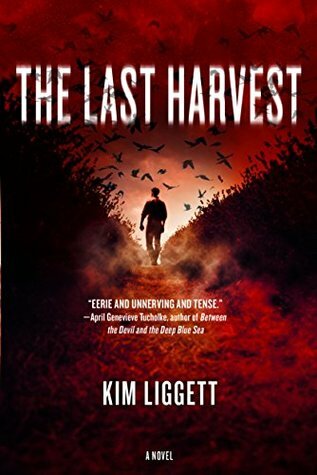 Clay wants to forget the past, but the sons and daughters of the Preservation Society – a group of prominent farmers his dad accused of devil worship – won’t leave him alone. Including Ali, his long-time crush, who suddenly wants to reignite their romance after a year of silence, and hated rival Tyler Neely, who’s behaving like they’re old friends. Even as Clay tries to reassure his self, creepy glances turn to sinister stares and strange coincidences build to gruesome rituals – but when he can never prove that any of it happened, Clay worries he might be following his dad down the path to insanity…or that something far more terrifying lies in wait around the corner.